Thousands of years ago, the builders of the temples and caves of Ellora demonstrated extremely advanced construction and engineering skills. One of the greatest mysteries is how and when. But perhaps the even greater question is how ancient mankind managed to do this using only hammers, chisels, and picks, thousands of years ago. How the ancients constructed some of the most incredible ancient monuments we see today remains one of the greatest archaeological mysteries of the 21st century. Not only is it a mystery how ancient mankind managed to create The Kailasa temple –which is one of the largest rock-cut ancient Hindu temples on the planet– but how ancient cultures in South and Central America managed to quarry, transport and place giant boulders is something not even engineers today can not imagine. 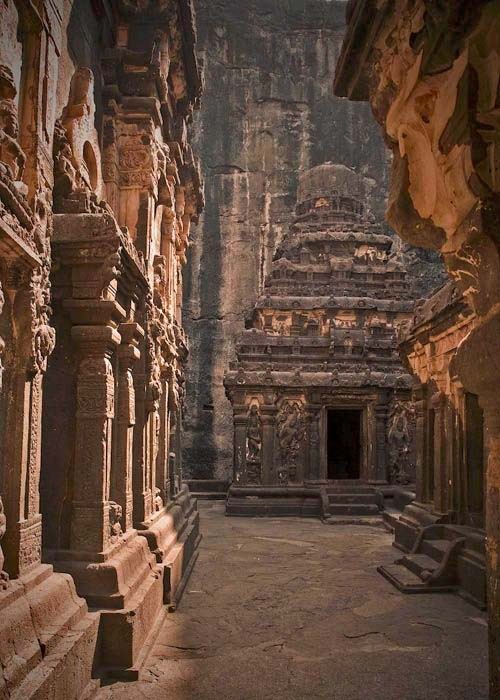 The Kailasa temple in Ellora, Maharashtra, India is a MEGALITH carved out of a SINGLE rock. 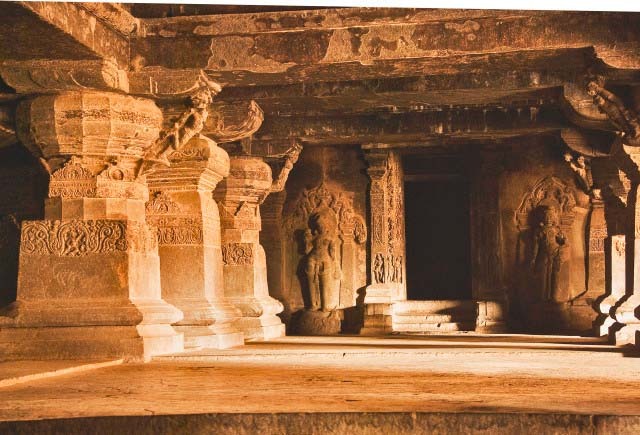 It is considered as one of the most remarkable cave temples in India, mostly because of its humongous size, architecture and sculptural implementations. Interestingly, the Kailasa is just one of the 34 monasteries and temples which extend over an area of 2 kilometers. 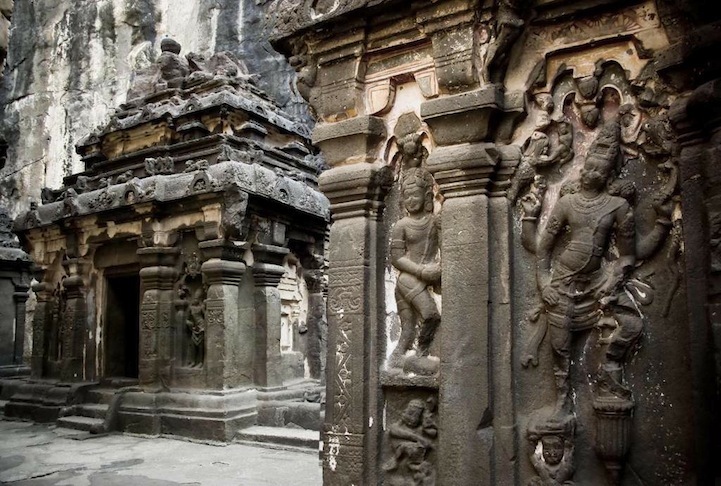 The temples were dug side by side in the basalt cliff at Ellora. The temple itself was built out of a single rock, 164 feet deep, 109 feet wide, and 98 feet high, making it ONE of the BIGGEST MONOLITHIC structures on the planet, carved out of a single rock. 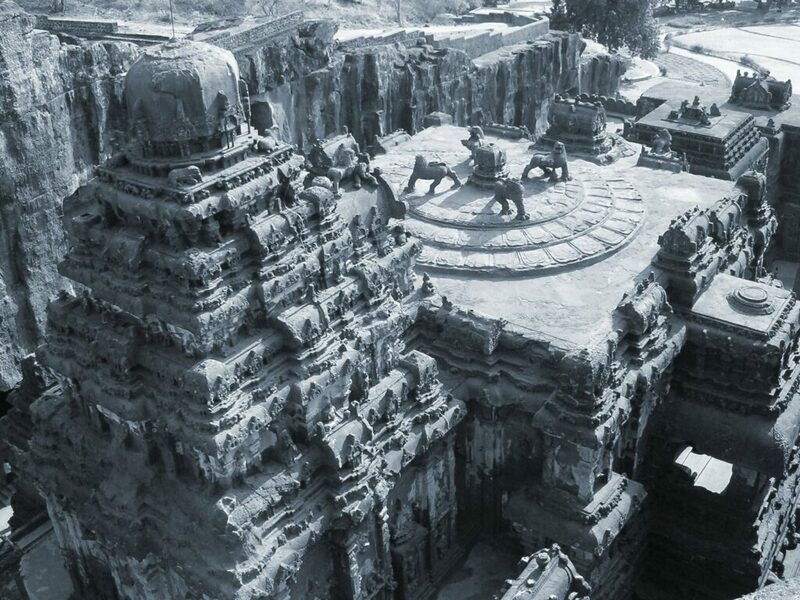 It is believed that the original builders of the Kailasa temple used a vertical excavation method. They started at the top of the original boulders and worked their way downward carving out one of the most fascinating ancient temples on the planet. The temples are said to have been sculptured by a number of different cultures, from Hindus, Jains, and Buddhists. According to mainstream scholars, the earliest caves were believed to have been carved around 300 BC. However, most of the work was done in the period from the IV to the IX Century AD. But not everyone agrees when it comes to the age of the ancient temples. According to H.P. Blavatsky, many of these ancient temples date back much longer than what scholars today believe. M.K. 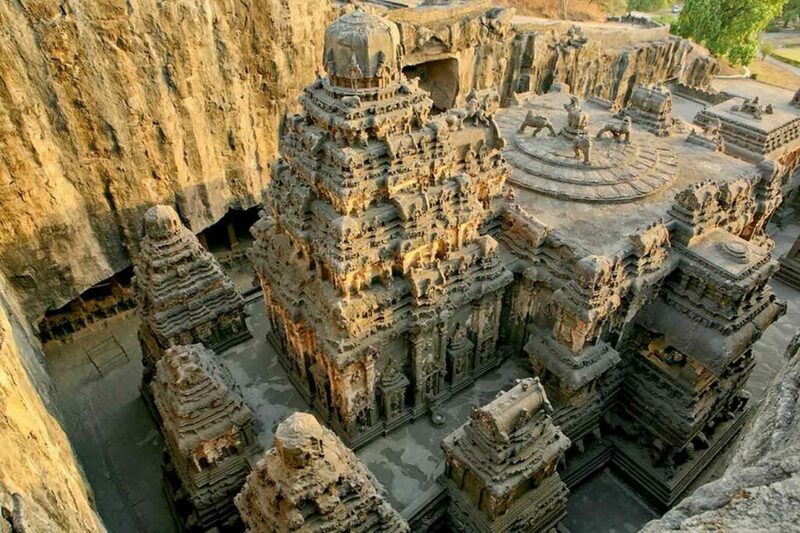 Dhavalikar, a notable Indian historian, and archaeologist, author of the book ‘Ellora’, suggests the shrines and the Kailasa temple were not excavated at the same time but are the result of a construction process that belongs to a number of different periods. But there are different theories about this fascinating ancient complex. Many Hindu experts agree that not much is known about the building process of the temple and its builders. Here we have a few images that are worth a million words, enjoy.